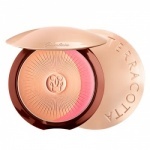 Guerlain Terracotta makeup for the face has been specially created to offer women the secret of a radiant complexion with the look of their choice, whether it's a natural glow or a made-to-measure tan. In this sumptuous bronzing makeup range, colours inspired by the sun of the Orient creates a subtle pink radiance, while the sun of India caresses with the sensual brilliance of gold and the African setting sun reveals the unique beauty of intense, coppery tones. In order to re-create these different light effects, Guerlain drew inspiration from all the colours of these sublime sunsets which endow women with an extraordinary and exquisite aura. Terracotta Soleils de Legende is a tribute to women’s beauty, to their dreams of faraway places, and their desire to enjoy the radiance of a sun-kissed look - subtle or more intense - as and when they choose. 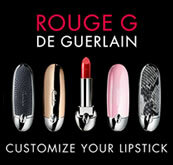 Guerlain Terracotta Ultra Matte is the new collector’s item in the Terracotta range, the leader in bronzing powders. With its absolute matte finish, Terracotta Ultra Matte chases away shine, and yet makes no compromises on radiance with its incredibly fine powder and warm tone. 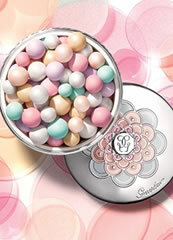 Guerlain Terracotta Ultra Shine is the new pearlescent collector’s item in the Terracotta range, the leader in bronzing powders. 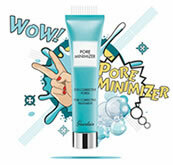 Its formula contains incredibly fine mother-of-pearl, and imitates the dazzling light of skin that has been left silky by the sun. 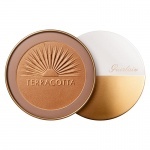 Guerlain Terracotta Light Sheer Bronzing Powder Brunettes is THE ideal powder from the very first rays of sun. 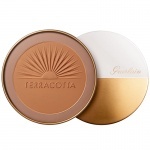 Guerlain Terracotta Light Sheer Bronzing Powder Sun Blondes is THE ideal powder from the very first rays of sun. 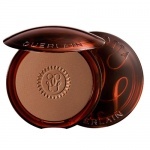 Guerlain Terracotta Light Sheer Bronzing Powder Blondes is THE ideal powder from the very first rays of sun. 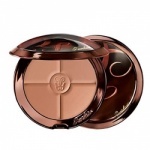 Guerlain Terracotta Moisturising Bronzing Powder 03 is the natural shade for brunettes. Guerlain Terracotta Moisturising Bronzing Powder 04 is the medium shade for blondes. Guerlain Terracotta Moisturising Bronzing Powder 05 is the medium shade for brunettes. Guerlain Terracotta Moisturising Bronzing Powder 06 is the darkest shade for blondes. 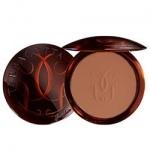 Guerlain Terracotta Moisturising Bronzing Powder 09 is the darkest shade available. As the seasons change from winter through summer, women find that the tone of their complexion and their bronzing needs change as well.This bronzer gives you customisable colour for Light skinned Blondes. As the seasons change from winter through summer, women find that the tone of their complexion and their bronzing needs change as well.This bronzer gives you customisable colour for Light skinned Brunettes. 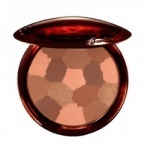 As the seasons change from winter through summer, women find that the tone of their complexion and their bronzing needs change as well.This bronzer gives you customisable colour for medium skinned Blondes. 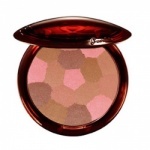 As the seasons change from winter through summer, women find that the tone of their complexion and their bronzing needs change as well.This bronzer gives you customisable colour for medium skinned brunettes. 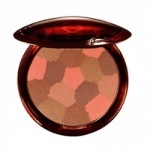 As the seasons change from winter through summer, women find that the tone of their complexion and their bronzing needs change as well.This bronzer gives you customisable colour for dark skins.